Today is the day. After months of tracking, reporting and waiting, we finally get our hands on the much-anticipated Samsung Chromebook Plus. 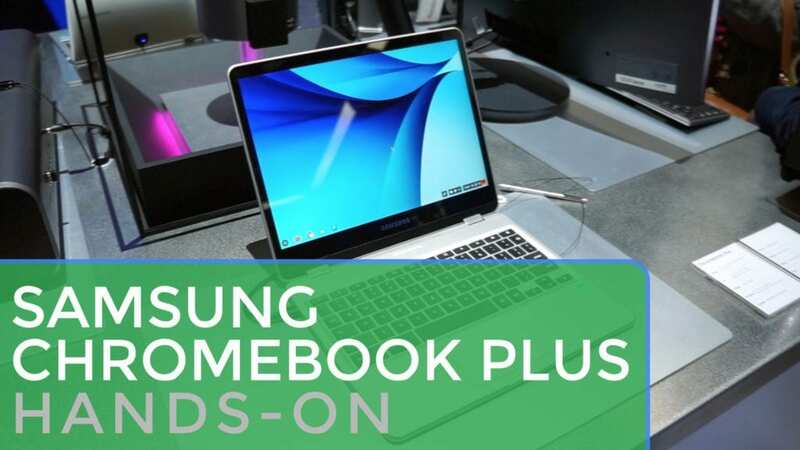 As thin as we thought, as attractive as we thought, and as impressive as we thought: the Samsung Chromebook Plus is the ARM version of the Samsung Chrombook Pro, both here at CES for some hands-on time. Both of these devices are the same, only with 2 different processor choices. The ARM Rockchip RK3399 for the Plus and the Intel Skylake Core m3 for the Pro. Other than that, we are looking at identical Chromebooks here. In the video, we take a quick look at the Chromebook Plus as it is the one that is available for pre-order right now. We’ll leave a link below for that. To sum it up, with an Octane Benchmark score very similar to the Acer R13, we assumed it would lag a bit. It did not. Performance felt snappy and Android apps loaded with ease. Browser performance felt smooth like butter and moving between open apps was fluid. Of course the Pro will fare even better, but we still have no firm release date or price. The Plus is available for pre-order now with a ship date of February 12th. We are hoping to get our hands on a review unit very, very soon and we’ll continue our coverage of the Chromebooks that look to change the consumer Chromebook landscape in 2017.